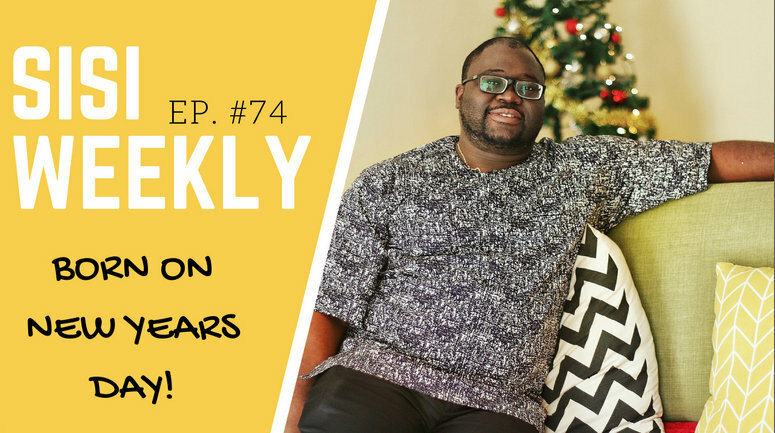 LIFE IN LAGOS : SISI WEEKLY EP #74 : BORN ON NEW YEARS DAY! Happy New Year!!!! We bless God for a brilliant 2016 and an even better 2017! How did you usher in the New Year? Our festivities for Christmas and New Year in Lagos has been on "chill mode"... is it the recession ni? LOL. If you want to see the process of a Yoruba introduction ceremony and small owambe then you will love this vlog. Yaay! I watched it not too long and it was great as usual. Happy birthday, bobo! Sisi yemmie, pls how do you whitening your teeth? Thanks. Sisi Yemmie, can we have that caterer's details please? Nothing but love from me to you!!! Happy New year! Sorry I had to get across to my friend to ask her for the details and that took a while. Here it is Beyond Tastee 08027778186. The chocolate cake will be coming soon! Thank you Cynthia! LOL. I go start to flex my baking muscles now...just wait and see. Happy New year! Great video as usual. Happy belated birthday wishes to Papa Tito. And the food at that introduction party! I raise hand for the caterer.